Kista, Sweden and Ingolstadt, Germany, December 7, 2017 – Macnica Europe GmbH and H&D Wireless AB have signed a collaboration agreement for HDW wireless modules for co-operation in the European IoT market. The full wireless product portfolio of HDW will be offered via Macnica GmbH to the European market with a focus on IoT for Smart Home and Enterprise such as Industry 4.0 but also other wireless applications such as audio, medical and the COM market. The new wireless module family named Accelerate, are world class in power consumption, size, cost and support both 802.11ac/abgn/BT5/M.2 1216, 802.11abgn/BT4.2, 802.11ac/abgn/BT4.2/NFC. An extended consulting and support service is offered by both companies. New products, such as the high performing SPB228 Wi-Fi/Bluetooth combi module, are under release right now and will be further promoted during f.ex. Embedded World Congress 2018. The new Accelerate family Evaluations Tools and Boards will be supported by Macnica going forward. “With the sales, FAE network and world class logistic centers we target to expand our sales and also penetrate more of Europe´s major industrial companies”, says HDW CEO Pär Bergsten. 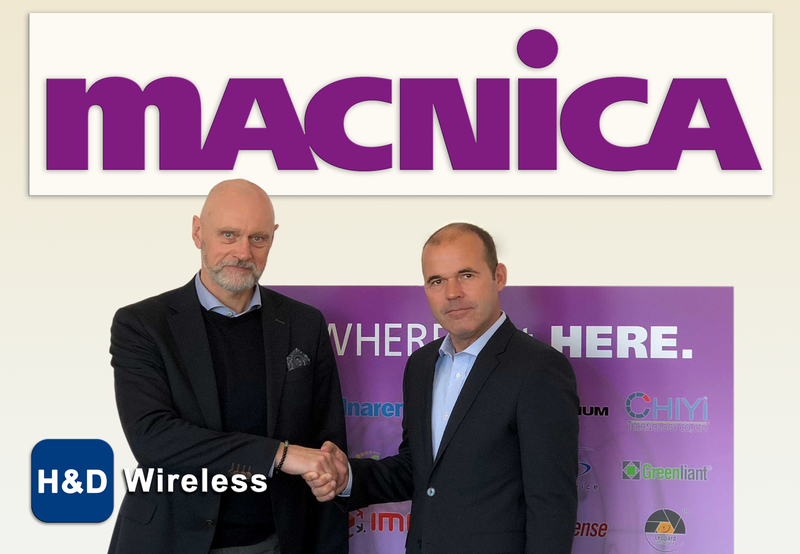 Commenting on the signing of their distribution franchise, Andreas Wemmer, Sales Director of Macnica Europe GmbH, stated: "Macnica is watching carefully the technological evolution and further standards development of wireless connectivity in the context of industrial IoT and industrial automation, and is excited to start jointly with H&D Wireless as a new partner demand creation, sales and application support of these innovative products in our distribution area across Europe." H&D Wireless AB, is Global Swedish IoT Company based in Stockholm. We support our customers to convert their business model from selling a device in a box to offer a service and content via the Cloud, and help saving the planet at the same time. H&D Wireless offer OEM customers the possibility to quickly and cost effective digitalize their products and make them accessible over the internet. By May 2016 H&D Wireless AB products has been installed into more than 1 Million products worldwide. H&D Wireless has over the last seven years developed end-to-end system solution containing world class Wireless modules, cloud services and smart phone apps. This solution is called: Griffin™. The Griffin™ Wi-Fi Cloud platform communicates over several wireless standards such as Wi-Fi, BLE, NFC and RFID. Griffin connects your IoT Enterprise, Smart Home, SmartGrid, Industry 4.0, Healthcare devices to the cloud. Monitor and Control your utilities, appliances, toys and security units, from the comfort of your home, or when away.